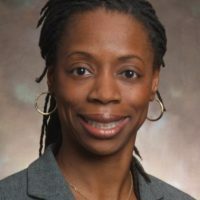 Dr. Sheryl Heron, a-selfprofessed “Jamerican” (born in Jamaica, West Indies and raised in Brooklyn) has been on faculty at Emory University School of Medicine for more than 20 years. She is currently Vice Chair of Administrative Affairs in Emergency Medicine, Assistant Dean of Clinical Affairs and Associate Director for the Injury Prevention Research Center at Emory. She has spent her career focused on diversity, equity and inclusion in emergency medicine and sharing her thoughts on the joy of practice. Her work led to serving as an editor of the first textbook in Emergency Medicine – Diversity and Inclusion in Quality Patient Care followed by the recently released Diversity and Inclusion in Quality Patient Care, 2nd edition – Your Story/Our Story. The 2nd edition is a book that gives personal accounts by several authors of their experiences in the healthcare arena which has uncovered, in certain instances, microaggressions. Imprinted in Dr. Heron’s DNA is her philosophy of the Heron 8, noting that we all need 3 things – something to do, someone to love, and something to look forward to and 5 communities – community of origin, community of creation, community of neighbors, community of work and community of faith – to traverse this life’s journey. She not only talks the talk but walks the walk – living her life fully on her foundations of faith and family. A passion for mentoring the next generation of EM physicians, particularly physicians of color and frankly anyone who calls upon her, Dr. Heron keeps it simple and pushes the needle to help us recognize that diversity is a given, equity is what we need. Watch her FIX18 talk below!